Continuum Care is an NDIS Registered Provider offering home care disability services to anyone in the greater metro Adelaide area. From daily tasks to activities to hobbies to life skills. Sometimes a little help at home and guidance is all that’s needed to build confidence and enjoy life. Continuum Care can assist you to discover opportunities in your local community that can help you to maintain your lifestyle, develop new skills and achieve your goals. Our aim is to provide flexible and affordable services to customers – delivered by experienced, qualified professionals who love their work and are committed to providing high standards of care. We take the time to ensure our services match your decisions and your individual needs. Maintaining a level of lifestyle and independence is important for anyone with any type of disability. We believe everyone is the expert in their own life and should be able to get the support they need to reach their goals. This includes in home care and support services in your community. 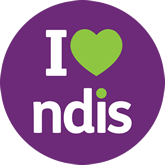 If you already have an NDIS Plan and are looking for services, or if you’re new to the whole scheme, please give us a call or get in touch through our enquiry form so we can answer all your questions. 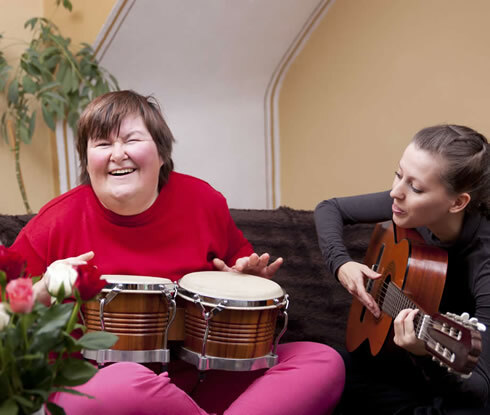 Continuum Care has a range of services to support and encourage independence. This support helps you to make choices and participate in the day-to-day activities that are important to you and your family. Our Disability Care and Life Skills services are available at all levels of need. Our team would love to assist you or teach you some household tasks in an exciting and fun way. When you need extra help with daily living tasks, we can be there to assist. Respiratory care – Receive oxygen therapy in your home. Looking for a place to live that fits your lifestyle choices? We can help and guide you towards meeting your goals. ‘Life Skills’ are the skills you need to make the most out of life. They help to accomplish ambitions and live to your full potential. Our team is able to work with you to develop and increase your life skills and talents to help you live an independent lifestyle. A little help to develop skills in managing everyday tasks will help you to become independent. Enjoy dancing, play sports or lunch at the beach? Whatever your hopes are, we would love to help you live your dream. The things that you would like to try or the groups you would like to join. If you’re a carer of someone with a disability, our in-home respite services are there to help you to maintain your energy and health while you care for another person. Caring for someone you love can be very fulfilling, but at times can also become exhausting or stressful. Our in-home respite services enable you to take a break and to come back refreshed. We offer short or long-term services, with short regular episodes of care, 24-hour live-in care, or even casual care. You can choose what you need and when you need it. Have I had a holiday over the last year? Is there an upcoming special event that I would love to attend? Does my relationship with my loved one sometimes feel strained? Do I feel that some of my needs are neglected? Has it been a long time since socialising with my friends? If you answered yes to any of the above questions, We Can Help. If you’re new to the NDIS system, Continuum Care can help you understand your Plan and work with you to establish your Service Agreement and decide when you want your services delivered to meet your needs. Getting started is as simple as phoning us or completing our enquiry form.